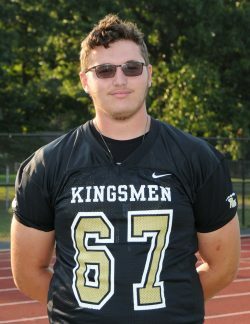 Penn Football offensive lineman and Olivet Nazarene football signee, Ashton Bradley has been selected to play in The 53rd Annual Indiana Football Coaches Association North/South All-Star Game. The game will be played on Friday, July 12th, 2019 at North Central High School in Indianapolis. Kickoff is at 7:00 pm. Bradley stands at 6-foot-5 and weighs in at 295 pounds. Ashton was selected to the IFCA 2018 All-State team and was named second-team all-Northern Indiana Conference.